Ant-Man may be small on size, but big on delivery. The same is true for the home release of his movie on Disney Movies Anywhere (DMA) which came out today (11/17) and will be out on BluRay, BluRay 3D, and DVD on December 8th. If you haven’t seen the movie, Corey Stoll (who plays Yellowjacket in the movie) described as a heist film, similar to Ocean’s Eleven. 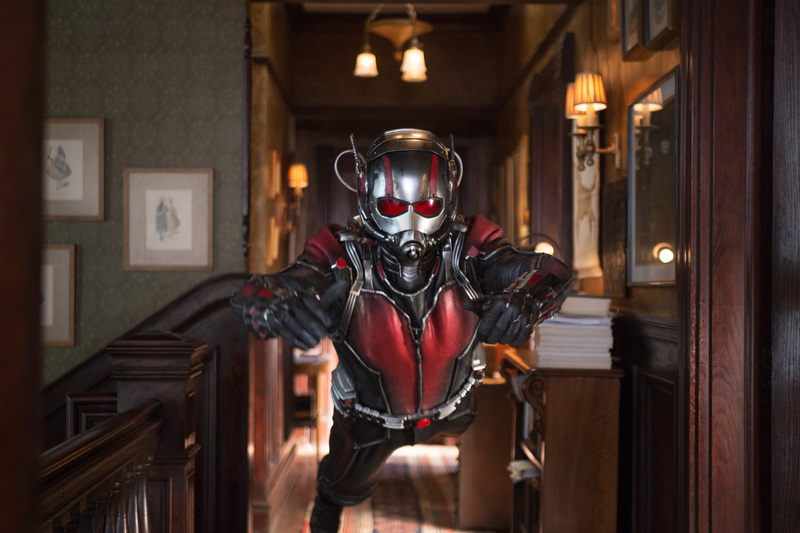 And while there are elements of a heist film in it, Ant-Man is also big on action – and a lot of it. I have to admit to being skeptical of this newest addition to the Marvel Cinematic Universe. While Ant-Man is a founding member of the Avengers, he has for the most part been a bit player in comic book history. And with Ant-Man’s convoluted history, I was curious to see how Marvel was going to tie him in to the rest of the heroes. Turns out they did it in a masterful way. 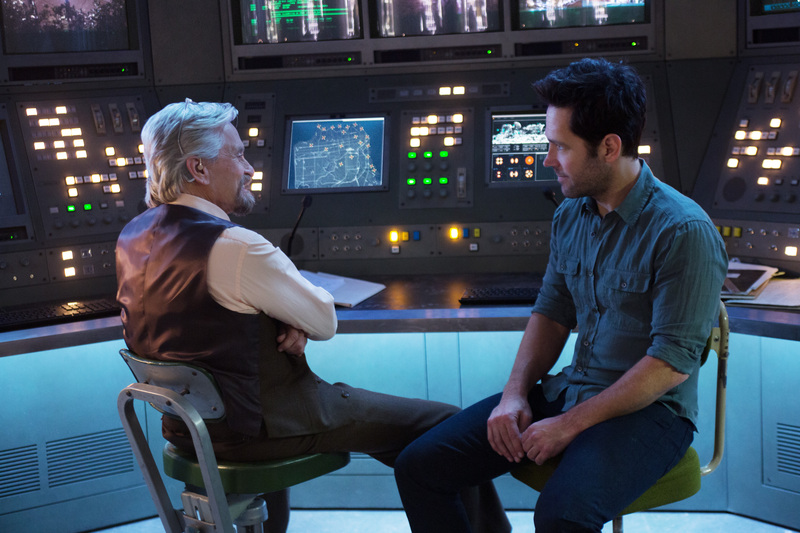 Having Hank Pym (played by Michael Douglas) as Ant-Man’s creator and original hero working for S.H.I.E.L.D. and Scott Lang (played by Paul Rudd) as the modern day Ant-Man was a stroke of genius. Then to top it off, having Hank’s daughter becoming the Wasp just completed the circle this story was trying to tell. But Ant-Man had more than just a good story and a great homage to the original comic book hero. It was also funny, witty, clever, fun, and exciting to watch. While Scott Lang doesn’t have any super-powers, wasn’t bitten by a radioactive spider (nice hint by the way), and wasn’t given a super-solider serum, he has the courage and fortitude that makes a hero, a hero. One comment that director Peyton Reed made during the commentary on the deleted scenes was Ant-Man was meant to be an everyman hero, the kind of hero we can all identify with. Reed and company did a great job of doing that, making Ant-Man someone we can picture ourselves being. 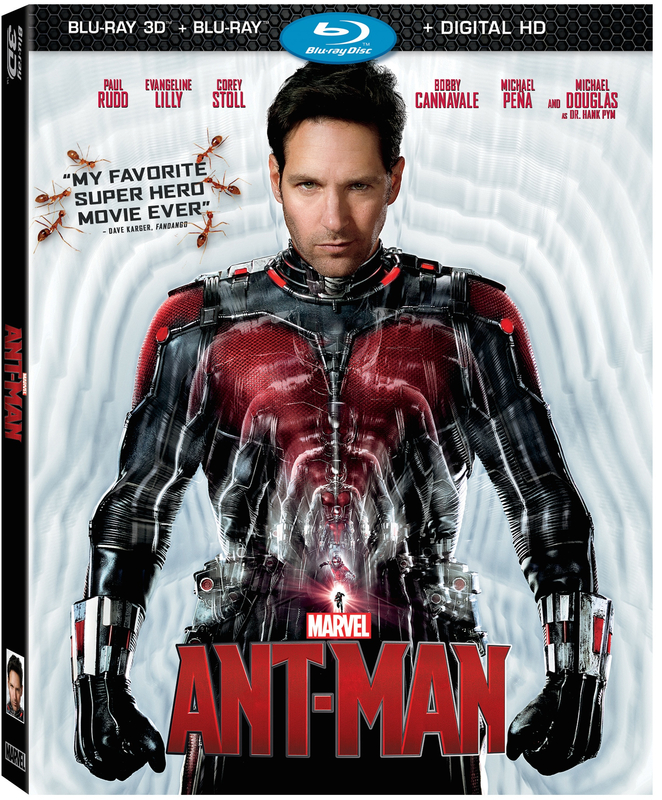 There were a lot of bonus features included with this release – deleted scenes (with and without commentary), film commentary by Reed and Paul Rudd (who on top of being the star is also given a writing credit in the film), a featurette about building the macroverse when Ant-Man is tiny and another on the elements of a heist film, and a gag reel which showcases some funny moments in the filming including Paul Rudd’s dancing talents! Absolutely loved the added Baskin Robbins scenes in the gag reel, too. Just have to watch it to fully enjoy it. I also really enjoyed the WHIH feature videos which were incorporated into the background of the movie, but shown in their entirety as a bonus feature. The “Wired” Interview with Darren Cross added great insight into his Yellowjacket character. And if you look at the ticker rolling by on the bottom of the screen of these videos, you’ll see news bulletins highlighting events from other Marvel films. All in all a nice selection of bonus material that gives you great insight into the making of this film. If you haven’t seen Ant-Man yet, this is a more than worthwhile movie. If you’ve loved the other Marvel Cinematic Universe movies, you’ll love this one, too. Payton Reed made the comment in the heist featurette that each of these movies are “allowed and even encouraged to have their own tone and idiosyncracies” which is really what makes Ant-Man such a great movie. It fits in nicely to the Marvel Universe (check out the battle Ant-Man has with the Falcon), while stylistically developing its own pacing and flavor. Make sure to get it today! You can purchase it now through Disney Movies Anywhere and play it on virtually any device, or wait until Dec 8th and get it on BluRay, BluRay 3D, or DVD. But just get it!